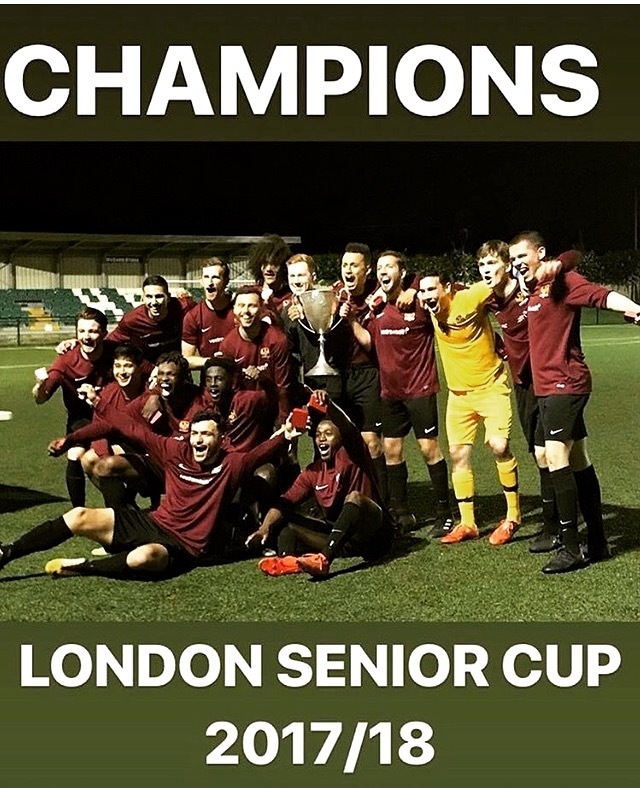 Having beaten AFC Wimbledon, Hendon and Dulwich Hamlet en route to the final, they beat the holders Cray Valley, who had put out Tooting & Mitcham Utd, in the semi-finals, 4-1. The goals came from Ibrahim Olutade(2), Tomasz Wocial and James Gallagher. Manager Greg Cruttwell said It's fantastic. We've done some massive giant killing to get here tonight and to win such a prestigious competition is a dream come true.